Introductory remarks on a neglected topic that should be well known by everyone who adheres the Westminster Standards. May this inspire the church to write a document that is equally binding upon the hearts of the Reformed Churches today which is updated for our churches. The Presbyterian Church was officially established in Scotland in 1561. Previously, John Knox had, through his preaching, incited a religious civil war of sorts which lasted one year called “The Riot of Perch.” The war pressed the Scottish Parliament to put an end to the Church of Rome in that country as the “National Church” in 1560. Theological convictions overflowing from the Protestant Reformation caused the leaders of that country to maintain a religious covenant in December of 1577 for the good of the kirk even weathering various civil persecutions brought upon them by Mary Queen of Scots were coming in force. Nonetheless, in 1581, the King’s Confession became widespread as a national covenant of the Scots. This covenant would later bring a further reformation not only to Scotland, but England and Ireland as well. The Presbyterian system and the Reformed faith continued to have a stormy course during this historical epoch of reform through both England and Scotland. King James I (James IV of Scotland) sought to set forth the government structure of episcopacy on the Church of Scotland, for him it was essential to the royal prerogative. “No bishop, no king,” was his conviction. Yet strangely enough James left the presbyteries largely undis­turbed. Moreover, he sent representatives to the Synod of Dort, and although none of these could speak officially for the Church of Scotland, the latter ac­cepted the decrees of that gathering. King James I was succeeded by his son Charles I in 1625. To the last degree he was opinionative and despotic. Charles believed in the divine right of Kings, jus divinum dominicum, and repudiated any advice of his Scottish and English Parliaments. In 1629, Charles I dissolved the English Parliament and attempted to rule without them. During this time Charles desired to impose a new liturgy upon the Church of Scotland without requiring the consent of the Scottish Parliament, who, as already stated, were under a covenant for the religious uniformity of the church. This new liturgy was Episcopalian and was designed to eradicate both Presbyterianism and the Puritan movement. Charles attempted not only to make the Church of Scotland Episcopal but also to bring its services into conformity with the Book of Common Prayer of the Church of England that had been previously set up by Queen Elizabeth. To further his cause, in 1636, Charles bestowed full ecclesiastical jurisdiction in the Court of High Commission, the Star Chamber, and the Council of the North to Archbishop William Laud of Canterbury. This authority allowed Laud to remain tyrannical over anyone who dared to oppose his actions. While Archbishop Laud attempted to forcibly impose certain religious reforms over the Scots, the people decided to renew their covenant together, and included a clause in the document that would place them in direct opposition to prelacy of any kind. It was Scottish abhorrence of these measures that led them to resist by vowing to uphold the National Covenant in 1638. The National Covenant consisted of three portions. The first was a reproduction of that older covenant, the King’s Confession of 1581; the second enumerated the various acts of the Scottish Parliament that condemned Popery and confirmed the privileges of the Reformed Church; the third was a gracious and emphatic protest against those alien modes of worship which had provoked the present troubles. Warrsiton was the author of the second portion, and Alexander Henderson was the author of the third. The Scots would war against England if it continued to oppress them with a form of religious worship that was not in conjunction with both the Scriptures and the Reformed Faith. The Covenant called for the immediate withdrawal of the new prayer book and rejected Episcopacy in favor of Presbyterianism. Although it emphasized Scotland’s loyalty to the King, the Covenant also declared that any move towards Roman Catholicism would not be tolerated. The Covenanters called an Assembly at Glasgow in November 1638 that the Marquis of Hamilton, the King’s Commissioner, declared to be illegal. Despite Hamilton’s attempts to dissolve it, the Assembly continued to sit in defiance of the King, moving to Edinburgh in 1639. Charles began forming an army to march against Scotland. The Scots responded by appointing the veteran Alexander Leslie to organize the Army of the Covenant. The clash between the King and the Covenanters resulted in the Bishops’ Wars in 1639-1640. Charles was nervous over this war with the Scots, and did not have enough money to raise a formidable army against them. As a result, Parliament was recalled to make negotiations with the Scots. This formation of Parliament was called “Long Parliament” due to its tenure – longer than that of the previous gathering called “Short Parliament” having been dissolved by the king. England herself as a whole was concerned at the state of affairs under Charles I. Thus, Long Parliament took advantage of its power to work revolutionary changes in the Church of England after its convocation. For months it intermittently debated various proposals that were urged on it. There was general conviction that the Catholic features introduced by Archbishop Laud must be dispelled, such as making the com­munion tables into altars, the use of images and candles, and communion rails. A clear call for an assembly of divines, whose task would be to advise the government on the reformation of the Church, was summoned through the speeches of the members of the Long Parliament and in sermons of preachers who addressed the members at Westminster – these cries were heard from 1641-1642. The belief that the prelates had been closely associated with political tyranny, popery and Arminianism during the 1630’s had brought the “Lord Bishops” and their role in the country into disrepute—so much so that Archbishop Laud was taken into custody by Parliament and the bishops eventually lost their seats in the House of Lords. As Toon notes, “The call for reformation in the Church, however, was not an isolated issue; it accompanied a determined attempt by Parliament to achieve a reduction of the ‘tyrannical power’ of the King and his advisers and an increase in the representative power of Parliament in order to achieve a balance between the Court and Country.”  Parliament addressed itself first of all to what is known as the Grand Remonstrance, which was practically a long indictment of the King’s conduct ever since his ascension, to which he only replied by speaking disdainfully of their proposed ecclesiastical reforms. In the Grand Remonstrance of November 1641, addressed by Parliament to the King, the matter of religious reform was mentioned in the context of the complaints about the evil counselors employed by the King and the intention of Parliament to put matters on a just foundation. Toon says, “Con­cerning an assembly, the Grand Remonstrance requested: ‘We desire there may be a General Synod of the most grave, pious, learned and judicious divines of this Island: assisted with some from foreign parts professing the same religion with us, who may consider of all things necessary for the peace and good government of the Church and represent the results of their consultations to Parliament.” Between the issue of the Grand Remonstrance and the outbreak of civil war nine months later, the country divided between Royalist and Parliamentarian.” Though Charles had reassembled them for intervention with the Scots, they took the opportunity to right all wrongs including the political upheaval they saw in Charles’ despotism. Charles rejected this Remonstrance, and followed up by the attempted arrest of the five members of the House of Commons who had taken a leading part in formulating the Remonstrance, which included Pym, Nye, and Oliver Cromwell. Though he was baffled in this, it practically brought on a crisis from which he felt there could be no escape but by an appeal to arms. On the 22nd of August Charles I set up the royal standard on Nottingham Hill, and called upon all loyal subjects to come to his aid against a rebellious Parliament. The nation was plunged into Civil War, the allegiance of the people being challenged, not as in the Wars of the Roses, by rival Houses, but claimed by the rival authorities of King and Parliament. It was not a Social War, but one for sovereign right on the part of the people as well as on that of the King. Cromwell also speaking on the subject twelve years after the war broke out, said distinctly that, “Religion was not the thing at first contested for, but God brought it to that issue at last, and at last it proved to be that which was most dear to us.” And certainly, as we follow the course of events, “it becomes clear that it was not Presbyterianism that brought on the war, but the war that brought in Presbyterianism.” This system became organized in England in the seventeenth century, not as a matter of national preference, but of military necessity. 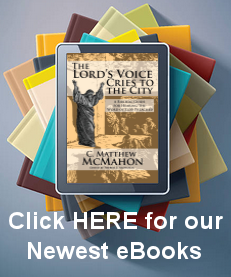 The members of the Assembly, all being Calvinists, were essential­ly agreed in doctrine. They were also all agreed in wanting to change the prelacy of the existing Episcopal system of church government, though some held out hope for a modified form of Episcopacy. It was also apparent before the beginning of the Assembly that some of the Puritan brotherhood, particularly those who had experienced Congre­gationalism while in exile in the Netherlands under the Brownists, were in favor of Inde­pendency within a national church. The Scottish delegation, naturally, favored the Presbyterian system of church government as it had been established in their homeland in the days of John Knox and of Andrew Melville. One of the first major turning-points came as a result of a deteriorating military situation in 1643 that led to the Solemn League and Covenant. The Solemn League and Covenant was originally framed by Alexander Henderson, moderator of the Assembly, and laid before the English commissioners. At first they startled somewhat at its terms, some of them wishing for a “greater latitude of expression and explanation to the phrases in the document,” to leave room for the introduction of the Independent or Congregational system of church government. In this, too, a slight compromise was made, no specific plan for the reformation of religion in England and Ireland being stated, except that it should be “according to the Word of God, and the example of the best reformed Churches.” With this mode of expressing the general principle all were satisfied; and after receiving the approbation of the private committees, the Solemn League and Covenant was submitted to the General Assembly on the 17th of August 1643, passed unanimously, amidst the applause of some, and the bursting tears of a deep, full, and sacred joy of others; and in the afternoon, with the same cordial unanimity, passed the Convention of Estates. “This,” says Baillie, “seems to be a new period and crisis of the most great adair which these hundred years has exercised these dominions.” He was not mistaken; it was indeed the commencement of a new period in the history of the Christian Church, though that period has not yet run its full round, nor reached its crisis, — a crisis which will shake and new-mold the world. In an anxious condition the puritans turned to their brethren in Scotland for help, and in November 1643 the Scottish Parliament agreed to send 21,000 men to their assistance, but only on the understanding that the Solemn League and Covenant should be accepted in England as it had been in Scotland, and so pledge the two nations to unite for the reformation of religion according to the Word of God and the example of the best Reformed Churches. There were many in England who were willing to modify or even set aside Episcopacy, but there were many also who favored congregational independence, which would be as rigorously repressed under the Scottish system as it had been under the bishops; and there were few who were willing to introduce into England the inquisitorial jurisdiction exercised by the Church courts in Scotland. The necessity, however, was urgent; military help must be had and it could only be had on the terms offered. The Scottish commissioners entered the Assembly just as it was giving up its effort to revise the Thirty-Nine Articles of the Church of England, its major task of the summer of 1643, and was turning to the pressing matters of worship, ordination, and church government. The Commissioners arrived at Edinburgh August 9, and were favorably received by the assembly, who proposed as a preliminary, that the two nations should enter into a perpetual covenant for themselves and their posterity, that all things might be done in God’s house according to his will; and having appointed some of their number to consult with the English commissioners about a proper form, they chose delegates for the Westminster Assembly and unanimously advised the convention of states to assists the parliament in the war. The English Parliaments’ struggle against Charles I was primarily on constitutional issues, while that of the Scots was on religious grounds (i.e. opposing Charles’ attempt to force upon their Kirk the Book of Common Prayer, etc.) So this first order of business for the Scots in forming a national covenant with England would set the foundation for their assembly in general. The London Parliament desperately needed the help of the Scottish armies in the War and the only way that the Scots would make them available was on the basis of a religious covenant, not a civil one. The instructions of the Scottish commissioners were to “promote the extirpation of Popery, prelacy, heresy, schism, skepticism, and idolatry, and to endeavor a union between the two kingdoms in one confession of faith, one form of church-government, and one directory of worship.” Thus, they set out first to covenant together and drew up a committee for the purpose of creating this document. The committee for drawing up the Solemn League and Covenant delivered it into the Assembly August 17, where it was read and highly applauded by the ministers and lay-leaders, none opposing it except the king’s commissioners; so that it passed both the assembly and the convention in one day. These Covenants had been adopted by the Church of Scotland, and bound the signers to defend Presbyterians. The bond of alliance finally adopted was the Solemn League and Covenant. Whether we approve or disapprove of its form, it was in its substance undeniably lawful and even necessary, since it was drafted for the defense of religion and liberty; and in its issue it saved the liberties of Great Britain. In particular, this Covenant was drawn together with a special prupose. When their commissioners arrived at London, they presented the covenant to the two houses, who referred it to the assembly of divines, where it met with a little opposition. Dr. Featly de­clared, “he durst not abjure prelacy absolutely, because he had sworn to obey his bishop in all things lawful and honest, and therefore proposed to qualify the second article thus,—”I will endeavour the extirpation of Popery, and all antichristian, tyrannical, or indepen­dent prelacy.” But this was carried against him. When the Solemn League and Covenant had received the assent of the Scottish Convention of Estates and General Assembly, a copy of it was sent to the English Parliament and the Westminster Divines, for their consideration. Commissioners were appointed to attend that Assembly, partly elders and partly ministers. The elders were, the Earl of Cassilis, Lord Maitland, and Johnston of Warriston; the ministers were Messers Henderson, Baillie, Gillespie, Rutherford, and Douglas; but neither the Earl of Cassilis nor Mr. Robert Douglas ever attended, so that the Scottish commissioners were six in all. When the document reached Westminster, several days were spent by the English divines in considering its various propositions, and some slight verbal alterations were made, for the sake of explanation, — particularly the specific statement of what is meant by Prelacy. There were some slight oppositions, as stated, but none so much as by Dr. Burgess. He objected to several articles, and was not without some difficulty persuaded to subscribe. It was agreed to by all except Dr. Burgess, “who continued to resist it and to refuse his assent for several days, until he incurred the serious displeasure of both Assembly and Parliament, which he at last averted by yielding.” The prolocutor Mr. Gataker, and many others, declared for primitive episcopacy, or for one stated president with his presbyters to govern every church, and refused to subscribe till a parenthesis was inserted, declaring what sort of prelacy was to be abjured (viz. “church-government by archbishops, bishops, deans and chapters, arch­deacons, and all other ecclesiastical officers depending upon them.”) The Scots, who had been introduced into the assembly September 15, were for abjuring episcopacy as simply unlawful, but the English divines were generally against it. For the sake of the Scots alliance, they were prevailed with to lay aside the name and function of bishops, and attempt the establishing of a Presbyterial form, which at length they advanced into jus divinum, or a divine institution, derived expressly from Christ and his apostles. Bishop Burnet says, “our commissioners pressed chiefly for a civil league, but the Scots would have a religious one, to which the English were obliged to yield, taking care, at the same time, to leave a door open for a latitude of interpretation of Sir Henry Vane put the word “league” into the title, as thinking that might be broken sooner than a covenant; and in the first article he inserted that general phrase, of reforming “according to the word of God,” by which the English thought themselves secure from the inroads of presbytery; but the Scots relied upon the next words, “and according to the practice of the best reformed churches,” in which they were confident their discipline must be included. When Mr. Coleman read the covenant before the House of Lords, in order to their subscribing it, he declared, that by prelacy all sorts of episcopacy were not intended, but only the form therein described. Thus the wise men on both sides endeavored to outwit each other in wording the articles. The Covenant was then read over clause by clause, and explanations given where it seemed difficult to perceive the intention, until the whole document received the sanction of the Assembly. With these slight amendments the covenant passed the assembly (both houses of parliament) and by an order dated September 21, was printed and published. It was then appointed by the Parliament, and assented to by the Assembly, that the Covenant should be publicly taken by these bodies on the 25th of September. Hetherington describes this account and reception: “To complete in one view the account of this matter, the Covenant was taken by the House of Lords on the 15th of October, after sermon by Dr. Temple, and an exhortation by Mr. Coleman. On that day, accordingly, the House of Commons, with the Assembly of Divines and the Scottish commissioners, met in the Church of St. Margaret, Westminster; and the Rev. Mr. White of Dorchester, one of the assessors, commenced the solemnity with prayer. Mr. Nye then addressed the dignified and grave audience in a speech of an hour’s duration, pointing out the Scripture authority of such covenants, and the advantage of which they had been productive to the Church of God in all ages. Mr. Henderson followed in a speech considerably shorter, but of great dignity and power. Mr. Nye then read it from the pulpit, slowly and aloud, pausing at the close of every article, while the whole audience of statesmen and divines arose, and, with their right hands held up to heaven, worshipped the great name of God, and gave their sacred pledge. Then the members of the House of Commons subscribed the Covenant on one roll of parchment, and the Assembly on another; and when this was done, the solemn scene was closed by prayer and praise to that omniscient God to whom they had lifted up their hands and made their vows.” So, this Covenant, drafted by Henderson and accepted by the English Commissioners, was transmitted to England, had some small modifications made, was approved by the Assembly and accepted by the Houses, and finally was directed to be subscribed throughout the kingdom, as it was also in Scotland. The day when this Covenant was subscribed,” says the Erastian Coleman, “was a day of great contentment and joy. The orders for the dissemination of the Solemn League and Covenant appears as follows: Ordered, “That copies of the covenant be sent to all commanders-in-chief, and governors of towns, forts, garrisons, and soldiers, that it may be taken by all the soldiers under their command.” The congregations also took it in and around London on the following Lord’s Day. However on October 9th, Charles I issued a proclamation from Oxford, denouncing this document as “in truth nothing else but a traitorous and seditious combination against us and the established religion of this kingdom;” charging and commanding all his loving subjects, upon their allegiance, “that they presume not to take the said seditious and traitorous Covenant.” In opposition to this, an order was issued by the Parliament, in February 1644, commanding the Covenant to be taken throughout the kingdom of England by all persons above the age of eighteen years; which order was accompanied by an exhortation prepared by the Assembly of Divines. This was to be done, upon every day of fasting and public humiliation, publicly read in every church and congregation within the kingdom; and every letter, in a table fitted to be hung up in the public place of the church or congregation, to be read by the people. After the reception of the Covenant, its practical application would be observed within the test of orthodoxy. The General Assembly in Edinburgh knew that there could be no hope of unity in religion until there was one form of ecclesiastical government. To think otherwise, in any age, is impossible. A parliamentary ordinance was passed on August 19th, 1645, for the setting up of Presbyterian government as the national form of religion. John Brown says, “The parish churches of London, one hundred and thirty-seven in number, were to be arranged in twelve classes, the Chapel of the Rolls, the two Sergeants’ Inns, and the four Inns of Court together making up the thirteenth. For the country at large county committees were to map out classical districts, the several classes as approved by Parliament to have power to constitute congregational eldership. These elderships corresponding to the Kirk session of the Scottish Church were to meet once a week, the classes corresponding to the presbytery once a month, the provincial synod twice a year, and the National Assembly to meet in session as summoned by Parliament and not otherwise.”  By the second parliamentary ordinance dated March 14th, 1646, it was commanded that a choice of elders be made throughout the kingdom of England and the dominion of Wales, in their respective churches and chapels. So, as far as legislation was concerned the new Presbyterian system was ready to become an actual reality in the national life. The system of Church government made absolute by ordinance of Parliament “was sufficiently rigid.”  Its basis was, of course, parochial. Every parishioner living within a given area was required to take his place in the parochial organization and submit to the parochial authorities. Every parish congregation was to choose its representative to sit in the Provincial or National Assembly, and no ecclesiastical community except that of the parish was to be allowed to exist. This was altogether too narrow for some who had been fighting for freedom as against King and prelate (i.e. the Independents) and Oliver Cromwell obtained an Order from the House that an endeavor should be made to find some way how far “tender consciences who cannot in all things submit to the common rule which shall be established, may be borne with according to the Word.” It is unfortunate that years later Cromwell by his soldiers forcibly dissolved the General Assembly of the Scottish Church which they thought he had covenanted to preserve to them. English soldiers, by physical power, broke the covenant that first bound all by religious conviction. Though later, after Cromwell’s death, Presbyterianism would again be established among the island. One must pause here, to consider the nature of the covenant broken. The reader should take serious notice of Cromwell’s actions: from the execution of another covenanted brother (Christopher Love), and the imprisonment of those he believed were rising up to restore the monarchy (Thomas Watson and William Jenkins among others) after he tried and convicted Charles I for high treason against the English nation. Is it lawful, then, to break a religious covenant that singularly bound the Reformed churches in order to uphold civil war? No, it is not. The Scriptures utilized in the introduction by the Assembly in proving the necessity of the Solemn League and Covenant are Jeremiah 50:5, Proverbs 25:5, 2 Chronicles 15:15 and Galatians 3:15. Jeremiah 50:5 states, “Come, and let us join ourselves to the Lord in a perpetual Covenant that shall not be forgotten.” The Jews here were reminded by the Prophet to validate their zealousness to His worship by covenanting. In Proverbs 25:5 it says, “Take away the wicked from before the king, and his throne shall be established in righteousness.” That which is finer produces vessels unto honor, and by taking away the dross it becomes pure. The destructive influence of wickedness in the courts of the king must be removed in order to purify his court. In 2 Chronicles 15:15 the Scripture reads, “And all Judah rejoiced at the oath; for they had sworn with all their heart.” Here, the tribe of Judah is seen as rejoicing in the lawful oath they took before God. It was a true oath in which they swore to uphold before God with all their heart. This Scripture previously explains the worship given to God during the reign of King Asa. In verse 10-14 it says, “So they gathered together at Jerusalem in the third month, in the fifteenth year of the reign of Asa. And they offered to the LORD at that time seven hundred bulls and seven thousand sheep from the spoil they had brought. Then they entered into a covenant to seek the LORD God of their fathers with all their heart and with all their soul; and whoever would not seek the LORD God of Israel was to be put to death, whether small or great, whether man or woman. Then they took an oath before the LORD with a loud voice, with shouting and trumpets and rams’ horns.” It is at this point that Judah rejoices because of the zealous extent to her vow to God. As a result, the end of verse 15 sates, “and He ;[God] was found by them, and the LORD gave them rest all around.” In Galatians the apostle says, “Though it be but a man’s covenant, yet if it be confirmed by an oath, no man disannulleth or addeth thereto.” Paul, at this point, is making an allusion to human covenants made by oath. Such oaths cannot be disannulled, nor one jot added to them. His conclusion is, therefore, how much more sure are the promises made to Abraham. However, for the purposes of the Solemn League and Covenant, the idea that men can bind themselves together in such a lawful oath, and not be separated by it was the expressed theological intention behind the covenant from its inception. The Solemn League and Covenant begins with its purpose, “for reformation and defense of religion, the honor and happiness of the King, and the peace and safety of the three kingdoms of Scotland, England, and Ireland; agreed upon by Commissioners from the Parliament and Assembly of Divines in England, with Commissioners of the Convention of Estates and General Assembly of the Church of Scotland; approved by the General Assembly of the Church of Scotland, and by both Houses of Parliament, and the Assembly of Divines in England, and taken and subscribed by them in the year 1643; and thereafter, by the said authority, taken and subscribed by all ranks in Scotland and England the same year; and ratified by act of the Parliament of Scotland in the year 1644.” Such a statement was summation of its intent. First it stood for the reformation and defense of religion. In every age the Christian is bound by his allegiance to King Jesus to defend the true religion. Secondly, it served to preserve the honor and happiness of the King. Such a statement only served the king if he were to abide heartily by the statures placed upon the kingdom by the covenant. King Charles, though, did not subscribe to this, and repudiated it before the kingdom desiring, instead, to set up a despotism ruled through the prelacy. Thirdly, it served to secure the peace and safety of the three kingdoms. If religious uniformity was secure, and the king was upon his throne in righteousness and for the cause of Christ according to true doctrine, then such a safety and peace would be unavoidable. Such sentiments are consistent with both the Confession penned by the Assembly (cf. Chapter 22 on Lawful Oaths and Vows) and the Scriptures which call for a zealous obedience before Christ in the things of God (Luke 10:27). The Westminster Assembly swore six particulars, enumerated in six paragraphs. First, “That we shall sincerely, really, and constantly, through the grace of GOD, endeavor, in our several places and callings, the preservation of the reformed religion in the Church of Scotland, in doctrine, worship, discipline, and government, against our common enemies; the reformation of religion in the kingdoms of England and Ireland, in doctrine, worship, discipline, and government, according to the Word of GOD, and the example of the best reformed Churches.” This brings up the question as to what it truly means to be “reformed.” There is an appeal here to history. There are those who believe that leaning upon historical information, as argumentation, is fallacious. They believe that since history is ever evolving, or changing as men die and others take their place, to set forth an argument based on history would be to argue without knowing all the facts, and would be invalid. This kind of thought, though, is faulty at the start, and would actually argue vehemently against Sola Scriptura itself, and the regula fide of the church, taken to its logical conclusion. To define, “reformed” then, is to appeal to the Scriptural formulations of those who upheld the Reformed faith as it emerged during the Reformation. Being “reformed” meant something to the “Reformed churches” of the day. To use the term to simply refer to the doctrines of grace, and the biblical propositions which prove them, is to use the term as slang. There is no doubt that the Reformed Tradition traces its historical roots to the time of John Calvin (1509-1564). Calvin, though born in Noyon, France, could be considered as a “Swiss” reformer due to his long stay at the city-state Geneva in Switzerland. The term “Reformed” is itself not ambiguous. Even the third and fourth generation reformers (and Puritans) used the term considering men like Calvin and Zwingli as prime examples of the Reformed Tradition of that time. Francis Turretin uses this term quite extensively in his work on the “Calling of the First Reformers.” Thus, the term was easily acquainted with Protestantism during the 16th century as its foundation and root for definition. To be Reformed is to adhere to the theological formulations of the Swiss Reformed Church in worship, the sacraments, church-government, and church discipline. These formulations were later adopted by the Church of Scotland, and then finally ratified by the Westminster Assembly under the Westminster Standards. Thus, the Solemn League and Covenant strove after following the best Reformed Churches on these subjects for the vitality and sanctification of the church of Jesus Christ. Secondly, they “endeavour[ed] the extirpation of Popery, Prelacy (that is, Church government by archbishops, bishops, their chancellors and commissioners, deans, deans and chapters, archdeacons, and all other ecclesiastical officers depending on that hierarchy), superstition, heresy, schism, profaneness, and whatsoever shall be found contrary to sound doctrine and the power of godliness.” Who would, in their right mind as a Protestant Christian, not desire such things? However, such a statement not only asserts the reality of a need for sound doctrine, and to refute error, but also that the government of the church in regulating such should be orthodox. Throughout the history of the Westminster Assembly no greater object was more the focus of the divines than this task. Presbyterianism had a strong basis in the national endorsement of the Solemn League and Covenant, and triumphed in the Westminster Assembly. The Solemn League and Covenant may therefore be called the Presbyterian theory of the seventeenth century. Thirdly, the Assembly made statements concerning the second table of the law in relation to the civil magistrate. They desired “with the same sincerity, reality, and constancy, in our several vocations, endeavour, with our estates and lives, mutually to preserve the rights and privileges of the Parliaments, and the liberties of the kingdoms.” This was a blatant testimony to religious freedom. Without true religious freedom, there could be no Solemn League and Covenant. However, as some argue the Solemn League and Covenant was voluntary, there would be no true religious freedom without the principles found within the Solemn League and Covenant. For the church to not desire religious uniformity would lead to chaos. For it to desire uniformity without voluntary liberty to such a uniformity would be a different type of Roman Catholicism with a document as Pope. It is therefore necessary that such a movement be voluntary, however, for those who would desire such a reformation in the church, there would be a need for lawful oaths of this kind. One cannot be done without the other. Fourthly, the divines desired to expose any sin that would “be hindering the reformation of religion.” Any factions among the three kingdoms who covenanted together should be brought to trial in order for proper repentance to take place. Without such hindrances removed out of the way, there would still be sin in the camp, and the oath would not be lawfully bound between the three kingdoms with purpose of mind (Joshua 7:1ff). Fifthly, they desired to continue in the sense of peace and prosperity that God brought them through together by this covenant in the three kingdoms. Sixthly, they desired to “also, according to our places and callings, in this common cause of religion, liberty, and peace of the kingdoms, assist and defend all those that enter into this League and Covenant.” This would later be directly violated by the use of force by Cromwell’s army upon the kingdom, though at first he swore to the Solemn League and Covenant. Rather, the purpose of this covenant would come to nothing if there was not something of this vow reminding all who lawfully took it to use every means they could in upholding the true religion of Jesus Christ in uniformity of worship and doctrine. In the closing paragraph, the divines set forth an article of repentance. They surely knew that many sins were pressing upon them, and hindering the true reform of religion. The very reason such a sacred assembly convocated was because of impending war and bloodshed. They begged God for forgiveness and desired Him to bless their efforts in Jesus Christ as they attempted to uphold the Reformed Faith in the three said kingdoms. What thoughts from this document are applicable to Christians today? Should Christians subscribe to the Solemn League and Covenant? Some understand the position of the divines to propagate a view of the true religion in such a way as to have no other possible manner of acting with religious conviction than full subscription first to the Covenant, and not only the Westminster Standards as a confessional document. They argue that these tenants were the fundamentals of the true religion, and to depart from them was to put one’s church outside the camp of the visible church. They say that the necessity by application, if one would stay true to the original intent of the confessional standards, would be to separate from all churches that do not walk according to the traditions of the apostles which have been faithfully passed on to the church through the Presbyterian forefathers of the faith (i.e. specifically binding all churches to the Solemn League and Covenant). They continue to argue that if one were to not have fellowship with individuals who do not walk according to the tradition of the apostles (which is the Scriptural rule of 1 Corinthians 5:11 (“But now I have written to you not to keep company with anyone named a brother, who is sexually immoral, or covetous, or an idolater, or a reviler, or a drunkard, or an extortioner — not even to eat with such a person.”) how much more should one separate with those churches that do not walk according to what the Westminster Assembly designated “the true religion?” They say that corporate apostasy from the tradition of the apostles is only an aggravation of the personal apostasy that the Bible speaks about by the apostles. Such argumentation at first glance may be convincing, but the very fact of the kind of document the Solemn League and Covenant represents does not allow the contemporary Church to be bound by the Covenant unless they voluntarily take the covenant. 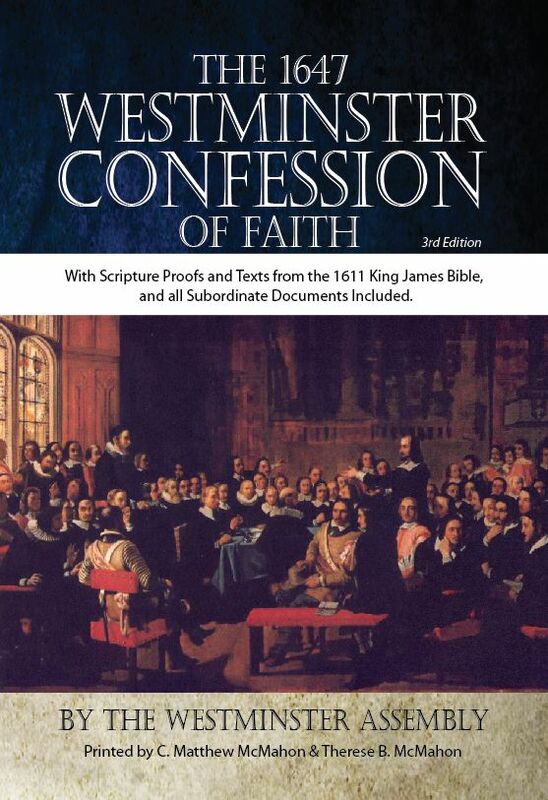 Nor does one need to take the Covenant in order to believe the doctrinal truths of the Westminster Confession of Faith. Certainly, a voluntary covenanting to such articles by the church at large would ratify and expand the constitution of the vivification church, and it would cause the session, presbyteries and General Assembly to convene on matters which violate the said Covenant. But such a Covenant would only be worthily upheld if the people themselves understood, even to some extent, the reasoning behind such articles of religion. To its demise, contemporary Presbyterian denominations do not even know their confession well, much less the Solemn League and Covenant to uphold such a confession more zealously. The perpetually binding nature of public social Covenants can only be upheld in Christian knowledge and understanding. This would mean a revitalization of the noblemen, barons, knights, gentlemen, citizens, burgesses again as a nation to come together. However, in the United States alone none of these classes even exist. A new formulation should be penned instead that regards the contemporary day in the same manner the 17th century divines did for their generation and country. The Solemn League and Covenant though it was binding in its day fell into disregard, and was almost immediately overthrown by force alone under Oliver Cromwell. Though it was taken again, history demonstrates its perpetual disregard after generational apostasy. What would need to take place is a revival among the entire nations, as it once had, in order for the purpose of the document to revitalize. This unfortunately may only happen under the authority of Christ in heaven, for men continually break that which is sacred while they attempt the will of God on earth. The Solemn League and Covenant also cannot be used as a document as equally binding upon the Christian unless that said Christian vows himself or herself to the document. Otherwise, it fails on its own accord as a voluntary document to uphold, as well as becoming a document that it was never intended to become – something which binds the conscience as equally as the Scriptures do. As the Westminster Confession of Faith states in chapter 22:7, “No man may vow to do any thing forbidden in the word of God, or what would hinder any duty therein commanded…” To be forced to vow a solemn oath without consent is to Judaize the document itself. It is important to note in closing that this document, as Hetherington says, “it is the wisest, sublimest, most sacred document ever penned by uninspired men.” If such an attitude was taken by every Christian, and such knowledge of every Christian rose to the occasion to see this document as a sublime manuscript for reformation, it would be well worth the contemporary church’s time to draft an updated version of this document to be voluntarily adhered to by every Reformed Church on the planet in its due course to set forth the doctrine, worship, and government of the true Church of Jesus Christ for all time, until His blessed return wherein all things will be made manifestly perfect. Latourette, Kenneth Scott, A History of Christianity: Reformation to the Present, vol 2, (New York: Harper & Row, 1975) Page 773. Smellie, Alexander, Men of the Covenant (Carlisle: Banner of Truth Trust, 1975), Page 4. Latourette, Kenneth Scott, A History of Christianity, Reformation to the Present, vol 2, (New York: Harper & Row, 1975) Page 773. Smellie, Alexander, Men of the Covenant (Carlisle: Banner of Truth Trust, 1975), Page 6. Latourette, Kenneth Scott, A History of Christianity, Reformation to the Present, vol 2, (New York: Harper & Row, 1975) Page 820. Toon, Peter, Puritans and Calvinism, (Seoul: Westminster Publishing House, nd) Page 53. Brown, John, The English Puritans (Fearn, Ross-shire: Christian focus Publications, 1998), Page133-134. Toon, Peter, Puritans and Calvinism, (Seoul: Westminster Publishing House, nd) Page 54. Hetherington, William M, History of the Westminster Assembly of Divines, (Edmonton: Still Waters Revival Books, 1993) Page 124. Brown, John, The English Puritans (Fearn, Ross-shire: Christian focus Publications, 1998), Page134-135. Barker, William, Puritan Profiles, (Fearn, Ross-shire: Mentor, 1996) Page 12. Neal, Daniel, The History of the English Puritans, vol 2, (Staffordshire: Tentmaker Publications, 2002) Pages 216-217. Toon, Peter, Puritans and Calvinism, (Seoul: Westminster Publishing House, nd) Page 56. Neal, Daniel, The History of the English Puritans, vol 2, (Staffordshire: Tentmaker Publications, 2002) Page 217. Smith, Morton H., The Presbyterians of the South 1607-1861, Westminster Theological Journal, vol 27, (November 1964), Page 27. Wylie, J.A., The History of Protestantism, (Albany: Ages Software CD ROM, 1997) Page 930. Hetherington, William M, History of the Westminster Assembly of Divines, (Edmonton: Still Waters Revival Books, 1993) Page 127. Neal, Daniel, The History of the English Puritans, vol 2, (Staffordshire: Tentmaker Publications, 2002) Page 264. Hetherington, William M., History of the Westminster Assembly of Divines, (Edmonton: Still Waters Revival Books, 1993) Page 127. Mitchell, Alexander F., The Westminster Assembly: Its History and Standards, (London: np, 1883) Page 161. Neal, Daniel, The History of the English Puritans, vol 2, (Staffordshire: Tentmaker Publications, 2002) Page 224. Hetherington, William M., History of the Westminster Assembly of Divines, (Edmonton: Still Waters Revival Books, 1993) Page 128. Mitchell, Alexander F., The Westminster Assembly: Its History and Standards, (London: np, 1883) Page 179. Brown, John, The English Puritans (Fearn, Ross-shire: Christian focus Publications, 1998), Pages134-135. Mitchell, Alexander F., The Westminster Assembly: Its History and Standards, (London: np, 1883) Page 177. Schaff, Phillip, History of the Christian Church, vol 7, (Albany: Ages Software CD ROM, 1997) Page 63.